I never expected to become dependent on something as frivolous as a pricey spray bronzer. 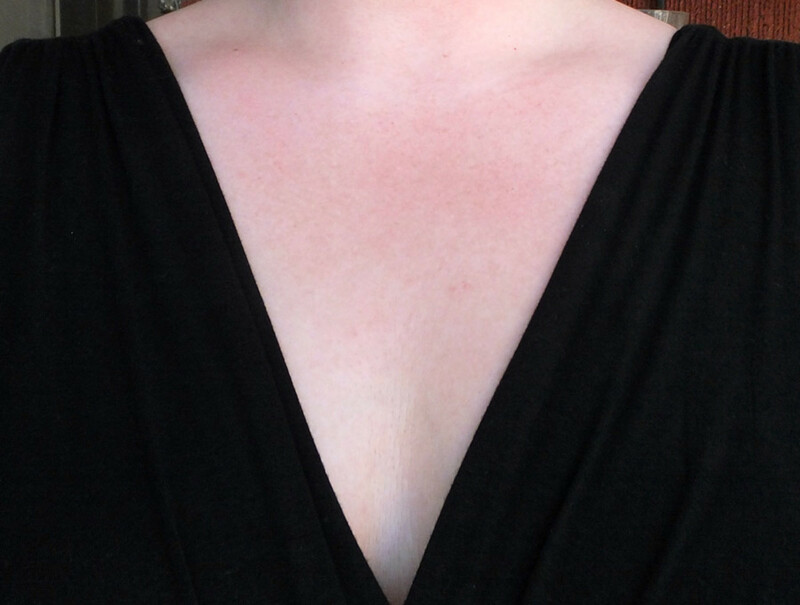 Yet I can&apos;t do withoutGuerlain Terracotta Spray Bronzing Powder Mist ($60, Guerlain boutiques) to even out my sun-damaged décolleté in seconds. I blame Guerlain makeup pro and Paris-based Canadian expat Maxime Poulin. His demo in the quick video below caught my attention but good: if he can use spray bronzer all over his face without even looking in the mirror, I needed to try the stuff myself. The before-and-after photos. I like the natural-looking, not-too-perfect sheer finish. Plus I&apos;d rather avoid self-tanner, and not just because of That Smell. I worry self-tanner would darken the hyperpigmentation as well as the paler skin. This spray simply blurs the colour difference. And did I mention the application took about three seconds? Do you have to even out the skintone on your upper chest like I do? 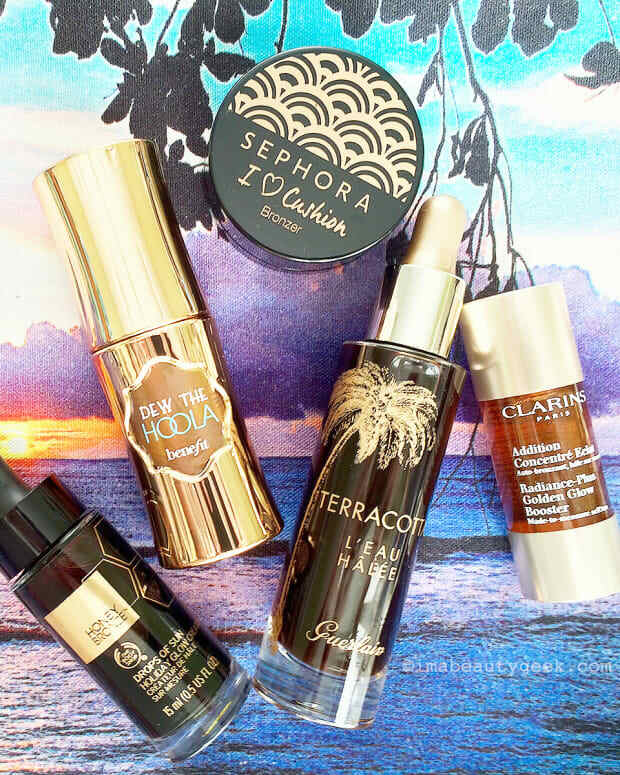 Have you tried Guerlain Terracotta Spray Bronzing Powder Mist? Or any other brand&apos;s spray bronzing powder? 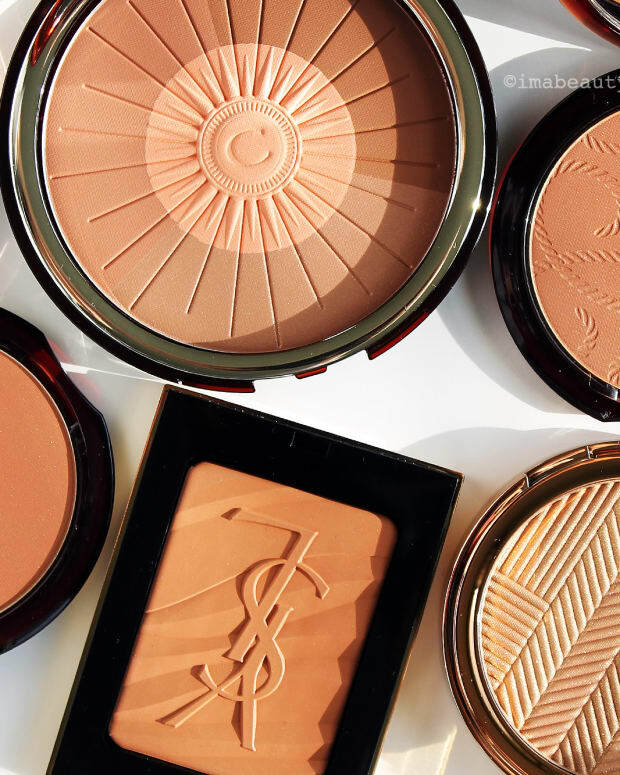 For Maxime&apos;s great tips on choosing the right bronzer shade + contouring and lifting the face with powder bronzer, click here. For more info visit guerlain.com.